Burien Spine & Sport Rehab (BSSR) is a chiropractic and rehabilitation clinic located in Burien, WA. Formerly known as Seahurst Spine & Sport Rehab, clinical director Dr. Chris Walters began BSSR in 2015. At that time he relocated to a more central downtown location, where the clinic now resides, the office space formerly owned by Moss Chiropractic. Dr. Walters graduated in 2006 from Western States Chiropractic in Portland, OR. After graduation he became certified in Active Release Technique (ART), Graston Technique, as well as attained his Certified Chiropractic Sports Physician (CCSP). Dr. Walter's practice integrates all these techniques with the goal of improving his patients' quality of life so that they may return to the activities they find joy in. Over the past two years, he has specialized in post-industrial accident rehabilitation , where he worked closely with many physical therapists and allopathic medical professionals. Currently he is working toward his diplomate of rehabilitation through the American Chiropractic Rehabilitation Board. In his spare time Dr. Walters enjoys an active lifestyle of exploring the outdoors both on land and underwater. Hiking, running, swimming, and cycling are among a few of his many outdoor endeavors. Additionally he is an avid scuba diver, and can be frequently found diving many of the Puget Sound magnificent dive locations. Dr. Ben Robers grew up in the small town of Stratford, WI. Throughout high school, he was involved with the wrestling and the track and field teams. Following high school, Dr. Ben attended the University of Wisconsin - Stevens Point where he continued his pole vaulting career, while pursuing a degree in Biology. After leaving UWSP he enrolled at Northwestern Health Sciences University in Bloomington, MN to complete his Chiropractic education. Over the past few years, Dr. Ben has obtained additional training in multiple technique systems in the realm of functional rehabilitation. He believes in blending modern chiropractic care with the latest physical modalities and exercise to best fit individual patient needs. He believes that an individualized approach allows patients to get back to the activities they enjoy faster while improving patient outcomes. Hi! My name is Robin and I like to help people move better. I use focused techniques of Deep Tissue and Injury treatment to loosen your body and help you get back to doing things you love. Sometimes that means a little discomfort in the process, but after you'll feel a positive difference! I always work with my clients during the massage for the best outcome with every treatment, making every massage unique and giving individualized attention to each massage and patient. Hello, my name is Stephanie Wilson. I am a 2007 graduate of Brian Utting School of Massage. In my 10+ years of experience I continue to blossom as an intuitive healer. My work has been described as a medically focused blend of Myofascial Release, Deep Tissue, and Trigger Point Release. My perks include scar tissue/adhesion release (both from injuries or surgeries), work with acute and sub-acute spasm, and success with treating carpal tunnel and trigger finger. 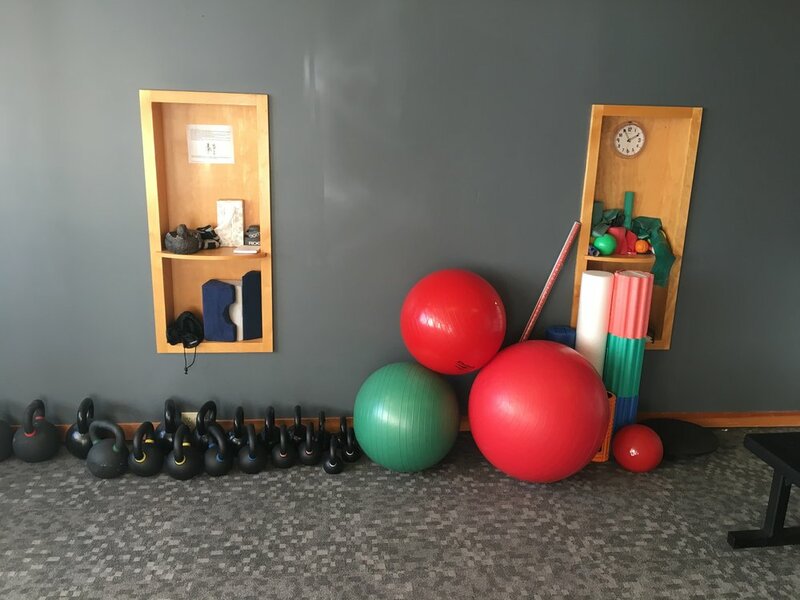 My goal is to provide focused injury treatment work to our clients, helping them to heal from the pain of injury, regaining range of motion and freedom of movement. Going to the Chiropractor is a new experience for many of us. Maybe we've heard through a friend or have done some research online. It's possible that you are just fed up with living in pain and it's time to do something about it. In either case, your first visit to the chiropractor will really be about getting to know the chiropractor and discussing your history, current condition and treatment goals. Typically first visit appointments take about 45 minutes to 1 hour. At this time you and a doctor will sit down and discuss all the details about what is causing your injury, and decide if chiropractic care is the right solution to the problem. During treatment we use multiple manual modalities to help decrease healing time, and decrease pain. Chiropractic adjustments are used to restore joint function and decrease pain. Active Release Technique (ART) is considered by many to be "the gold standard in soft tissue healthcare." ART is a hands on soft tissue modality in which the patient moves through a specific range of motion while the doctor provides tension along the desired soft tissue. Graston Technique (GT) is a specific soft tissue treatment which falls into the category of instrument assisted soft tissue mobilization(IASTM). GT uses a number of stainless steel tools to identify and treat various sites of soft tissue injury. Dynamic Neuromuscular Stabilization (DNS) utilizes specific exercises that emphasize the neurodevelomental aspects of motor control to address dysfunction of the locomotor system. Functional Range Conditioning (FRC) is a comprehensive joint training system based in scientific principals and research. The main training goals of FRC are: mobility development, joint strength, and body control. Cold Laser Therapy is the use of laser energy to create therapeutic effects. These effects include: pain reduction, improved healing time, increased ciruculation, and decreased swelling. Corrective Exercise is used to help our patients take control of their pain. We teach our patients various exercises and/or stretches to assist in the rehabilitation process. We believe that taking an active approach allows for improved recovery time and improved patient outcomes. Patient Education is key in the rehabilitation process. Here at Burien Spine and Sport Rehab, we take the time to educate our patients so they understand why they are having pain and what can be done to reduce symptoms in both the short and long term. Massage Therapy is used to promote healing and relax tight muscles. We have multiple massage therapists on our team, each providing a variety of massage techniques to best fit the patient's individual needs. Dr. Phillip Snell runs a great blog at his website fixyourownback.com. This can provide you with great information about back health, and if you would like to subscribe to his website, if also can provide you with detailed instructions on how to perform specific exercises for stable back health. MyTPI.com is a site run by Titleist, which is major golf company. There Titleist performance Institute(TPI) is an organization which specializes in training athletes and as well has information on many rehab exercises. This is great source if a patient needs help understanding how to perform an exercise, learned to improve there injury. Another great website for instructional rehab exercises, XLathlete.com provides an enormous amount of content for athletes and active patients. These exercises are broken down into sport specific categories and can be very helpful for training and rehabilitation. Another great website for functional rehab exercises, functionalmovement.com has a large library of exercises to address mobility as well as stability limitations. These exercises can be filtered by movement pattern and by exercise postion to assist in finding the appropriate exercise to fit your individual needs. If you would like to make an inquiry, you can call our front office, or leave a message! We will reach out to you as soon as we can. If it is an emergency please call right away. New patient intake forms can be printed and filled out upon arriving at first visit by clicking here.